Recently I stumbled upon an op-ed in the LA Times, written by Thomas Chatteron Williams, and called My black privilege. Whenever someone puts the words “black” and “privilege” together I can anticipate what comes next: a rebuttal against the concept of white privilege, and with it some false equivalency around Affirmative Action. Chatterton’s post is a bit different in that he isn’t another John McWhorter or Thomas Sowell, black men who have made a name for themselves in denying the impact of racism, and being openly hostile towards other black people. While Williams’s article is no less misguided, it seems to come from a place I can understand, even relate to, with respect to my relationship to blackness and black people. The article starts with a reference to an exchange where he felt his particular experiences as a black person were invalidated. This invalidation, I think, is at the heart of a certain isolation which leads Williams to his hyper-individualistic thinking which plagues the article, and probably informs much of his memoir, Losing My Cool. That much is conjecture, because I have not, and nor will I ever read the book. Chatterton’s worldview is so predictable as to make it unnecessary. Before I get into my argument, let me be clear that it is not my intention or goal to shame Williams for his point of view, but to point out the inherent fallacy in his thinking, which itself stems from what I like to call the scourge of individualism. My tendency towards the polemic should not be taken as animosity towards Williams, but as a passion for the subject. People who care about people of color ought to focus their energies on continued systemic racism and forget about anything so nebulous and untrustworthy as observation. Like it or not, I was the victim of greater social forces. It did not matter that I had come to see my life as something of my own making — the evidence of my senses was useless. There are two very important things happening in this paragraph. The first, and most important, is that this sociology professor — who wasn’t black — made the mistake of trying to tell a black person — Williams — what his experience should be. Regardless of their expertise, this was simply not their place. While we can’t be certain this is how it happened, it was at least how Williams felt after the exchange, and that is just as important. The second thing is that, aside from the professor’s apparent misstep, the underlying point was valid, though I think Williams’ feelings muddled his interpretation. As someone who has had many in-depth conversations with sociologists about issues of race and power, I can be relatively certain that the professor’s point was not that “the evidence of [Williams’s] senses was useless” or that how he saw his own life was irrelevant. As any scholar of race in the U.S. will tell you, as any black person can tell you, our experiences are not a monolith. Williams’s experience was his own, and shaped his particular worldview. It wasn’t, however, representative of any shared black experience in the U.S.
And here lies the fundamental flaw with Williams’s whole argument: individualistic vs. systems thinking, which is the point the professor was probably trying to make. There has undoubtedly been one person, or ten, or even one thousand black people who have gone through their lives with little to no observable experience with racism, don’t consciously feel its impact, and for that manage to gain some degree of success or wealth or high quality of life. Their experiences do not invalidate the very real existence of systems that make such outcomes more unlikely for the rest of us. Systems that privilege white people at the expense of people of color. This sort of individualistic thinking, which is at the heart of the myth of a U.S. meritocracy, is a product of the American Enlightenment. It was only by virtue of those philosophers’ privilege as white men in the 17th and 18th centuries that they could even reflect on such lofty ideals as individual sovereignty. I shouldn’t have to explain to anyone why black people at the time were not afforded the physical or mental space to entertain such thoughts. That this way of thinking persists into the present does not suggest that it is correct, so much as it indicates the outsized influence of the white perspective in shaping the narrative of the United States. The enormous amount of data demonstrating the racial disparities that exist across every social, political, and economic domain — wealth, housing, criminal justice, education, physical and mental health, infant mortality, life expectancy, and the list goes on — greatly outweighs the experiences of a handful of individuals. If I have a huge sack full of berries, 99% of which are poisonous, and you happen to eat one of the few that isn’t, it would not be realistic — or safe — for you to conclude that the whole sack is edible. That’s a weird analogy, I know, but what’s important here is safety, because the kind of thinking what Williams is propagating here is actually dangerous. My black father, born in 1937 in segregated Texas, is an exponentially more worldly man than my maternal white Protestant grandfather, whose racism always struck me more as a sad function of his provincialism or powerlessness than anything else. The point here seems to be that his black father, in spite of the circumstances of his birth, managed to achieve more than his white grandfather. For Williams, both men’s outcomes had nothing to do with their race. This is a common argument. Bootstraps. Meritocracy. What you get out of life is what you put into it. So on and so on. Don’t complain about race. Don’t like your circumstances? This is America. You can do something about it if you work hard enough. This is not entirely false. There is much a person can achieve through the strength of their will, in spite of their circumstances. But that does not negate the circumstances, nor does it mean that overcoming those circumstances is possible, to the same degree, for everyone. Whatever success the elder Williams was able to achieve cannot, in turn, be used as evidence that race is a non-factor in most black people’s life outcomes. Again, the data shows us different. Another spin on this same argument is where white people talk about how difficult life was for their parent or grandparent or ancestor, that their race didn’t help them, that they too “made it” in spite of their circumstances. Yes, class oppression is a thing. But the structural obstacles placed before black people in the US are simply greater than those placed before white people, regardless but not independent of class. There is an intersection of race and class, and for black people these two things are inexorably linked, as they have been for our entire history in this country. What many people fail to understand about white privilege, is that it is the absence, or at least reduction, of certain structural obstacles to health, wealth, and a higher standard of living that people of color face. Like a piece of paper that is both red all over and green all over, for far too many Americans of all backgrounds, the idea of a simultaneously black and advantaged person is impossible to imagine. This mental inflexibility points to a seldom discussed but nonetheless very frustrating aspect of being African American: well-intentioned people will insist you are a victim whether you interpret your life in such a way or not. No one who lives in the real world thinks this way. There are countless examples of black people who are black and advantaged. One would have to be delusional or contrarian to deny it. But again, these folks are the exceptions. And even with all of their advantage — mostly financial — these black people still face some of the same structural obstacles. Serena Williams, perhaps the most prolific athlete in any sport since Michael Jordan, almost died because of how structural racism manifests in the healthcare system. NBA star Sterling Brown and NFL star Michael Bennett, were perhaps one impulsive decision away from being casualties of police brutality. Their individual advantages did not protect them from the systemic issues that plague the black experience in the U.S. There are countless examples. Williams’s sense that his life was “something of his own making” does not mean the struggles faced by so many others were products of their own failures. The problem with his article starts at its very title: “My black privilege”. With the first word. My. Williams’s own. He seems to think that his personal, exceptional, individual experience says something about the plight black people in general. Privilege, within the context of race, is not some individual currency that each of us carry around, choosing how and when we spend it. Privilege — white privilege — at its most basic, is the widespread, systemic, advantage white people have of not being discriminated against on the basis of their race, of not having a well-established history of such discrimination that continuously echoes into the present to impact their life outcomes. Whether or not they have felt it, or believe they have benefited from it, does not mean it is not there. Black privilege, within this same context, simply does not exist. That is to say there are no social or economic or political advantages awarded to all black people on the basis of our blackness. What Williams also fails to consider is how his own trajectory was informed maybe not by white privilege, but its encapsulating framework: white supremacy. One need only take a look at Williams to understand how this could be the case. He is a very light-skinned black man, one who could even pass for white. Given this, and his experiences, it is to Williams’s credit that he even so strongly identifies as black at all. And perhaps it is because of this identification that he may not grasp how he could’ve been the beneficiary of white privilege, or put another way: light-skinned privilege. Unlike Thomas Chatterton Williams, no one would ever mistake Sterling Brown, Michael Bennett, Serena Williams, or any of countless other black people who have sharply felt the impact of racism on their lives as anything other than black. Williams, the writer, doesn’t seem to understand that his particular experience — no “less black” or less valid — does not represent the experiences of most black people. Again, look at the data. Just search JSTOR or any other scholarly archive for “racial disparities” and be crushed by the sheer enormity of the evidence. It is…unsurprising to me that it would be another light-skinned man making this kind of argument, oblivious to, or in contrarian denial of how race impacts black people’s lives. 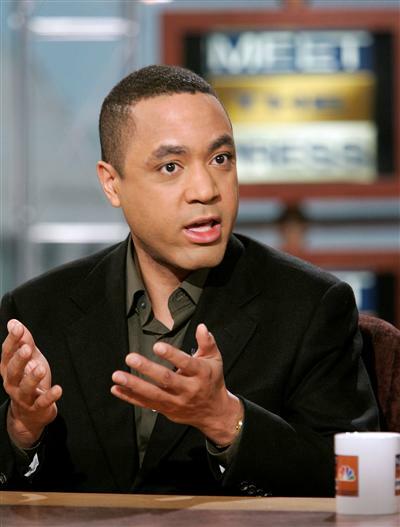 John McWhorter, mentioned earlier, is perhaps the most egregious example, though I think his entire public persona is a fiction he has crafted for social and economic advantage. I must mention here that I, too, am lighter skinned, though no one in this country would mistake me for white. And I, too, have gone through growing pains around identity and my particular connection, or lack thereof, to black culture and black people. At one point in my life, I disavowed my blackness, by which I mean that I rejected the racial classification as a “social construct”, not that I positioned myself apart from or in opposition to other black people. At least not intellectually. I did feel, however, a distance between myself, black people and black culture. This, I came to understand later, was due to the absence of opportunities for immersion, and a lack of education about black history and culture, these things in themselves a consequence of white supremacy. When I first learned this idea about race as a social construct, I seemed to think that it could just as easily be deconstructed. I say “seemed”, because I have a hard time these days placing myself within the mind of my younger self. I was in college, awash in a sea of new ideas, and perhaps grappling with each of them in isolation, rather than understanding how they interlocked within various systems. I didn’t understand that the institution of race in the U.S. continued to exist in spite of my firm declaration that I would not, and therefore other black people should not, subscribe to this inferior status imposed upon us. I seemed to think that I actually had a say in it, which to my mind today — overwhelmed by the data — is patently absurd. Williams was a philosophy major in college. While that doesn’t have to mean anything, I often find that people within that discipline, disproportionately informed by Western (white) sensibilities, are uniquely able to detach themselves from social and historical context, to explore what they might call the purity of ideas. While I am sure this is an interesting pursuit, it is so divorced from how reality is structured as to be delusional. There is a sort of oblivious playfulness to these philosophy types that would be enviable if it wasn’t so dangerous, especially as it applies to the persisting impact of race and racism on those of us who live in the real world. For one to place themselves in some ideological bubble wherein their own individualistic experience somehow negates the experiences of many others is highly problematic. This is further compounded by the fact that those who support the status quo are always looking for the next black token to validate their assertions that systemic racism isn’t really a problem. And Williams, for his lighter skin, and likely ability to pass in certain situations, only elevates his position, and makes him more “credible” to a white establishment. It seems clear to me, from his op-ed, and from the premise of his memoir, that Williams has had a difficult time locating himself within the black experience. I get it. He had a difficult time reconciling his own successes and quality of life with the narrative that life for black people is necessarily more fraught with danger and hardship. Sure, makes sense. But it also seems that his entire trajectory is informed by his distance from black people and culture. He views his education, his love for literature, as existing in opposition to his experience with black culture. Indeed, it was by virtue of his hard work that he was able to “beat” hip-hop, which he views as inherently toxic. Anyone with any remotely authentic relationship with hip-hop knows that it, like any other culture, is not defined by its more problematic features. I would bet that most of the literature in question was not written by black authors, and that none of it spoke to his particular experience as a light-skinned black man. Instead, it showed him that blackness was something he could embrace intellectually, while remaining unaffected by its ramifications for his quality of life. Great for him, I guess. But the “privileges” he was afforded within his particular, individual life trajectory say very little about the greater collective black experience in the United States of America. The only black privilege, if we must consider one, is the honor of being a part of one of the richest, most artistic, brilliant, resilient, cultures the world has ever known. Truly, this is an advantage. But it is not equivalent, nor exchangeable for the kind of social, economic, and political power inherent to whiteness.